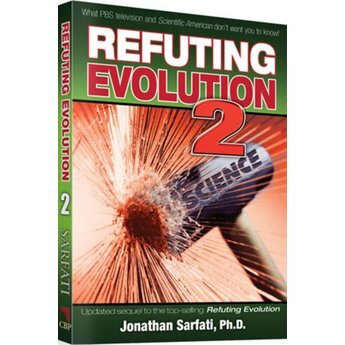 Dr. Jonathan Sarfati, who expertly defended creation in Refuting Evolution (which has sold over 350,000 copies), goes to bat once again in Refuting Evolution 2. Aimed specifically at the evolutionarily biased PBS television series Evolution, Sarfati adroitly makes light of the inaccuracies and fallacies of evolutionary theory, and offers sound creationist interpretation of the facts. This book also updates creationist arguments such as the plesiosaur reeled in by the Japanese fishing boat, the peppered moths, the men have one less rib than women adage, and much more. 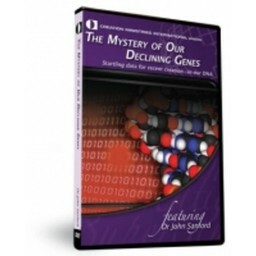 Here is a priceless resource for those involved in the ongoing creation/evolution debate. Born in Australia, Jonathan Sarfati moved to New Zealand as a child and later majored in chemistry at Victoria University of Wellington. In 1996, he returned to Australia and took a position as a research scientist and editorial consultant for the Creation Science Foundation in Brisbane. His first book, Refuting Evolution, has sold over 350,000 copies. He co-authored the bestselling Answers Book, and is a former New Zealand Chess Champion.